Following the recent killings of innocent citizens, the security situation in the north of the province was the main item for the press conference held by Governor Julien Paluku on November 12th in Goma, North Kivu. 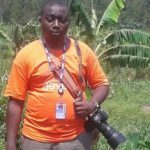 To over thirty journalists in attendance, the Head of the Provincial Executive of North Kivu condemned the “macabre” new rebellion in gestation in the territory of Beni. “The killings in Beni, which coincide with the start of the trial involving Colonel Birotso, with this former Mbusa Boy quoted in the killing of Colonel Mamadou; is this not a revelation?” questioned Julien Paluku. This argument was based on the invalidation of the National Assembly of the former Minister of June 15th 2013 as a result of dealings with the M23 concerning damning statements that had emerged of some captured ADF rebels that were actually soldiers of the former rebel RCD-KML group. Paluku read excerpts from the United Nations report on North Kivu citing Mbusa Namwisi as one of the instigators of several rebellions in the province. “The blood of the innocent will cry for vengeance and the truth will be out in the open,” the words of the Governor of North Kivu breaking the myth. 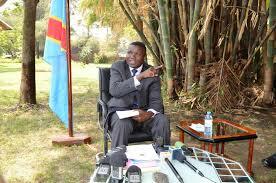 Julien Paluku is convinced therefore that there are Congolese troops among the Ugandan ADF. “Rightly or wrongly, only justice will reveal the nature of those who plot against the development of the province” he continued. The North Kivu governor drew attention to the ‘poisoning’ which has recently emerged in Butembo and Beni, a weapon used by the enemy to turn people against their own leaders or the UN stabilisation mission, MONUSCO. In defence of the strong measures taken by the Provincial Government of North Kivu to ensure its citizens’ safety, Julien Paluku stated that the entire province of North Kivu is unarmed, hence the need for them. It was also announced during the press conference that a series of arrests had been made of those who are mentioned in this cabal against North Kivu.